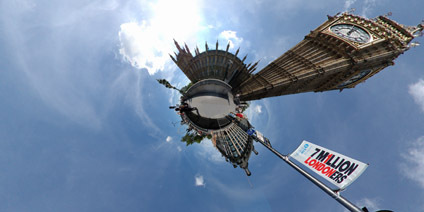 View the panorama of the Houses of Parliament, London (3.2mb). All the panoramas are beautifull , please can you tell me what software did you used, Realviz – PTgui – Other ? It is better to make the photos with the camera in vertical position or horizontal .. ?